MDF offers great stability and is the least likely to react when subjected to a measurable change in temperature or humidity. It offers a very smooth, void-free surface for veneer faces. MDF has greater strength and screw holding properties than particleboard and weighs around 100 lbs per 3/4″ panel. MDF is used in cabinets, furniture, fixtures and molding. 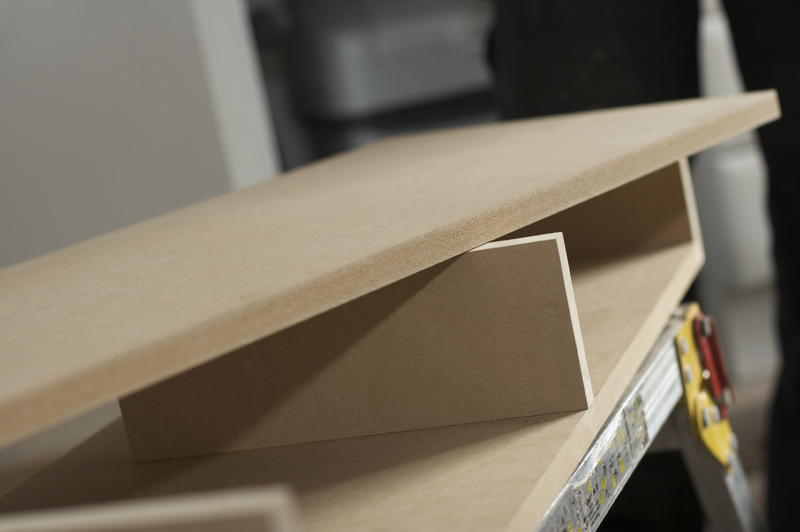 MDF is highly recommended for thin panel applications such as door inserts for cabinets and paneling. MDF products are most often manufactured with urea-formaldehyde resins.